What can you do when your biodiversity experiment has inadvertently been flooded by a nearby river? Well, you take it as an opportunity and look at recovery rates. This is at least what people did in the Jena biodiversity experiment which comprises plots with 1 to 16 different grassland plant species all located close to the Saale river. The site was affected by an early-summer flooding event in 2013. Plant recovery and various plant traits were measured in July and september of the same year. 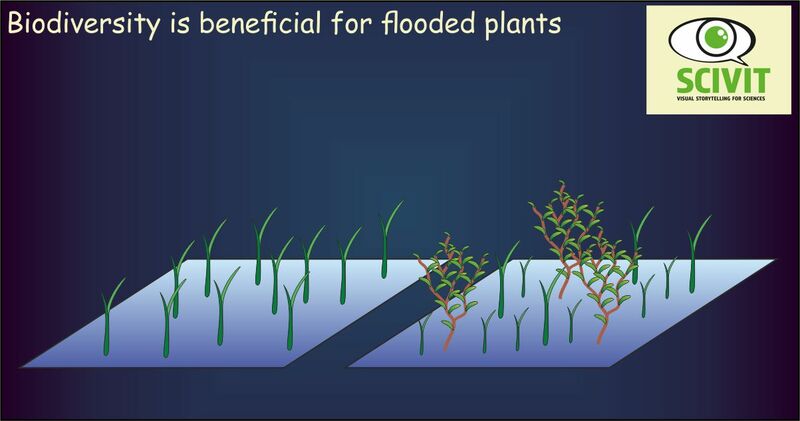 Results demonstrated that at least immediately after the flooding, plants were better off in the „high-biodiversity“-plots. These plots specifically showed higher soil porosity, supportive for plant recovery after flooding.